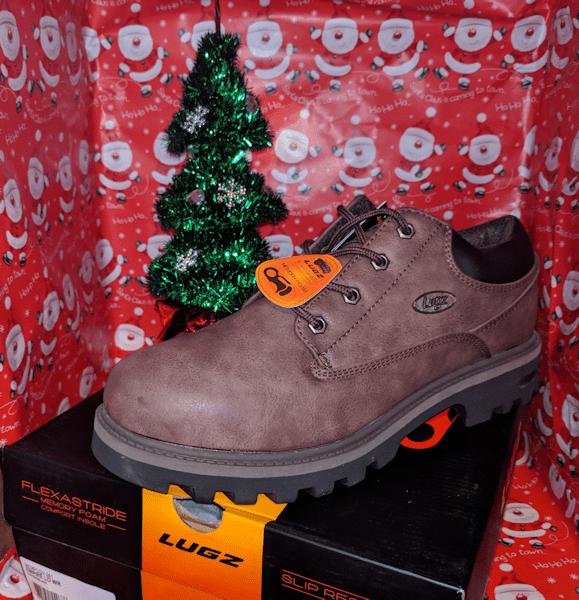 I received two pairs of Lugz shoes in exchange for inclusion in my Holiday Gift Guide. I received a pair of Women’s EMPIRE HI FUR Boots in Charcoal/ Black and a pair of mens Empire Lo WR in Coffee/ Black. My daughter absolutely loves the Empire HI fur boots. She needed a good pair of boots for this winter weather we received. I wanted her to be grounded with running after a 3 year old! My husband is loving his Empire Lo WR shoes. They definitely helped him with the pain in his foot. Lugz sells high quality shoes for the entire family! There are baby shoes, toddler shoes, teen shoes, summer, winter, shoes, you name it check Lugz for the shoes! I love working with the company and I love their high quality shoes. The Empire Lo WR is a water resistant and slip resistant, plain toe ankle boot that features our patented Flexastride memory foam technology. This boot has the perfect blend of style and comfort to protect your feet year round. Both pairs of Lugz shoes look extremely nice and feel great on your feet. I highly recommend them. These Lugz shoes are made to withstand the elements and keep your feet protected year round! Lugz has so many different styles to meet your and your family’s needs. 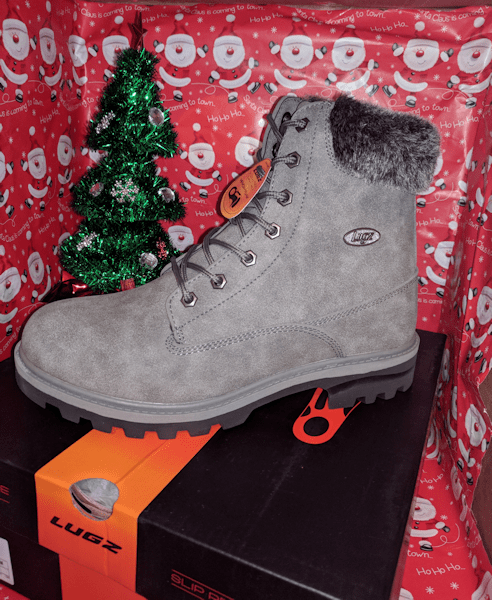 Treat someone to a pair of Lugz shoes this holiday season!